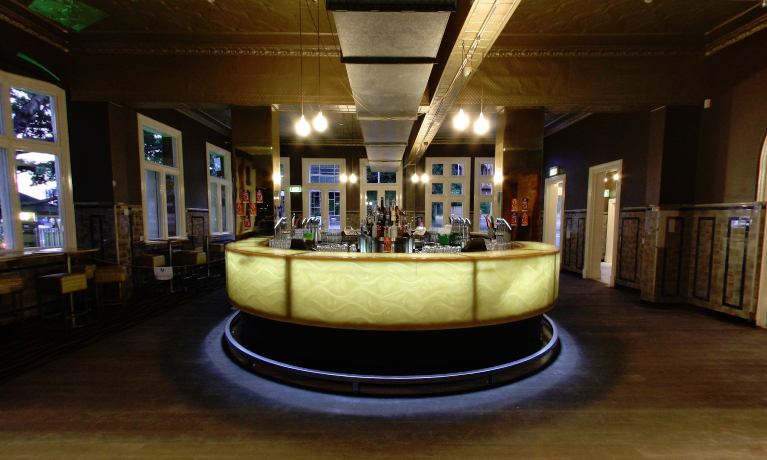 The Gold Bar is the largest function room in Brisbanes Normanby Hotel, with capacity for up to 250 guests. There is a massive dance floor, stage, fully operational DJ booth, large projector screen and massive island bar so you dont need to queue up to get drinks. For larger functions, the area can also be extended to include the adjoining Patio Bar. A number of catering packages are available from the venue, from simple finger food items through to full meals. The Normanby Hotel is located only a couple of kilometres from Brisbanes CBD, and features three major bars as well as restaurant quality catering. Whether you are holding a birthday, engagement party, Christmas party or more formal occasion, the Normanby is one of the most competitive Brisbane function venues available.